Why Outsource Medical Billing and RCM for Your Cardiology Practice? As a cardiologist, you work with the body’s most important organ and often see patients when their heart health is already compromised. 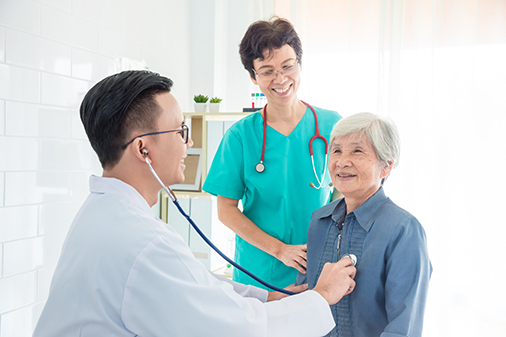 Patients may require one or more complex procedures, so your billing staff must have a thorough understanding of the appropriate codes and modifiers required for cardiology procedures like pacemakers, different types of percutaneous coronary interventions, and peripheral vascular procedures. Hiring and retaining staff for in-house billing can be costly in terms of time and monetary investment. By outsourcing all or some of your practice’s revenue cycle processes to an experienced medical practice management company, you can spend more time with your patients while maximizing your revenue stream. PPM has AAPC-certified cardiology coders (CCC™) on staff, who have extensive experience serving cardiology practices. We can take your cardiology practice paperless with customizable EHR implementation, or we can help optimize your existing EHR system. Our dedication to your cardiology practice helps ensure efficient business operations, effective claim denial management, compliance, and a healthy revenue stream. "I am an interventional cardiologist with an extremely busy, high volume practice. Precision Practice Management started providing my practice with medical billing services about 3 years ago, and they have done a much better job than my old billing service, especially in the way they pursue collection of denied claims. They also provide software and tech support to my office. And very soon they will be supporting my conversion to Encite Clinical Manager. I would highly recommend Precision to other practices like mine."